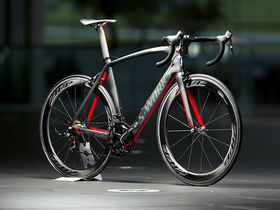 Venge McLaren bike – i.e. Mark Cavendish’s bike. Designed using Big Data techniques in computational fluid dynamics. If you found that interesting, why not sign up for future articles in our newsletter – here . As you will see the ebook includes segments on bike design (engineering collaborations in experimentation and performance), training & athletic execution, and race strategy. One chapter will look at probably cycling’s most exciting 2014 event – The Hour Record attempt (need to beat 49.7km on a traditional bike with classic drop bars) by Fabian Cancellara and probably Bradley Wiggins, Tony Martin and some say Taylor Phinney. Fabian Cancellara will attempt the hour record this year, in April or July/August, according to Trek Factory Racing’s general manager Luca Guercilena. He told La Gazzetta dello Sport that Cancellara will try to break the current 49.7-kilometer record between either April 14-27 or July 28-August 10. As stressed by Guercilena, ‘to do 50kph on a normal bike and on a track is harder than going 52kph in a Tour de France time trial, with an aero bike, disc wheels and a stretched out position’. 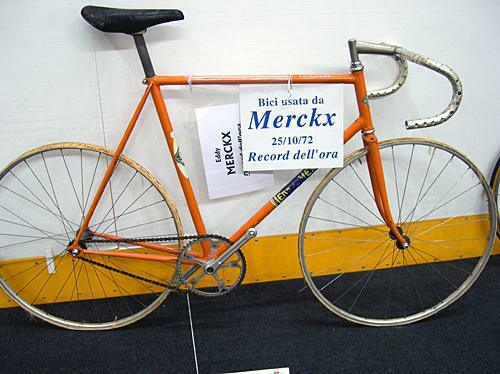 These rules were set down by the UCI in 2000 and prohibiting the kinds of extreme bikes & positions – like the ‘Superman’ – which Francesco Moser, Graeme Obree, Chris Boardman, Miguel Indurain and Tony Rominger pioneered in the 1980s/90s (or at least these bikes were put in a separate category of ‘Best Hour Performance’). 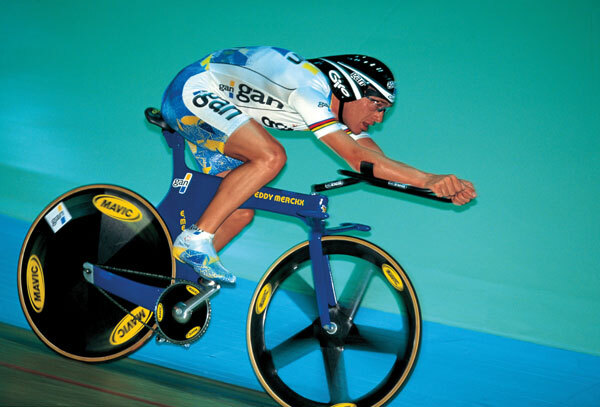 Riders (and technical teams) must now focus on a traditional bike with classic dropped bars, box-section rims, plain spokes & an ordinary helmet – the same as Eddy Merck’s famous 1972 record & subsequently Boardman’s successful attempt in 2000 by a tiny 10m further. And so this is the challenge set for Cancellara & his Trek Factory Racing team of 25 people [15 from Trek bicycles, engineers & biomechanics, and 10 from the team] – and probably followed by Bradley Wiggins (Sky) & Tony Martin (Omega Pharma-Quick Step), maybe even Taylor Phinney (BMC). You can be guaranteed that they will use every bit of cutting edge research to make the bike & wheels go faster and the riding position more aerodynamic whilst staying within the UCI rules. Additionally as well as making the bike go faster, the teams must push their athlete to the absolutely limit of known human physical capacity. From a metabolic viewpoint, this event is considered the definitive aerobic endurance cycling test because the athlete must perform in steady state conditions at the highest possible percentage of his maximal oxygen uptake. We have to consider physiological factors – lactate acid build-up & ‘burn’, muscle fatigue – mental stamina – pain resistance, focus – and also environmental variables (eg. Air density and temperature). 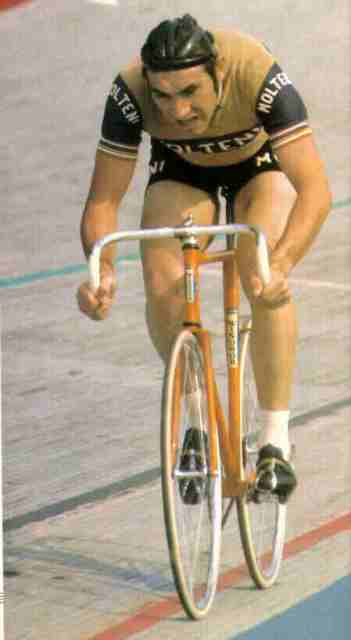 Then there is G-forces on track cornering – it is notably that Ondřej Sosenka current hour record is often panned both because of his own tainted doping history & his use of a 333.33m track in Moscow rather than Boardman’s 250m ‘standard’ track, which results in less turns. For research teams in modern procycling this brings lots of numbers and for Big Data it may once again show that data process can make the difference. For those not familiar with the term ‘Big Data’, it is used to describe collecting sets of data so large and complex that it becomes difficult to process using on-hand database management. For others close to cycling innovation, you have probably read the story which underscores what the sport is trying to do with ‘Big Data’. 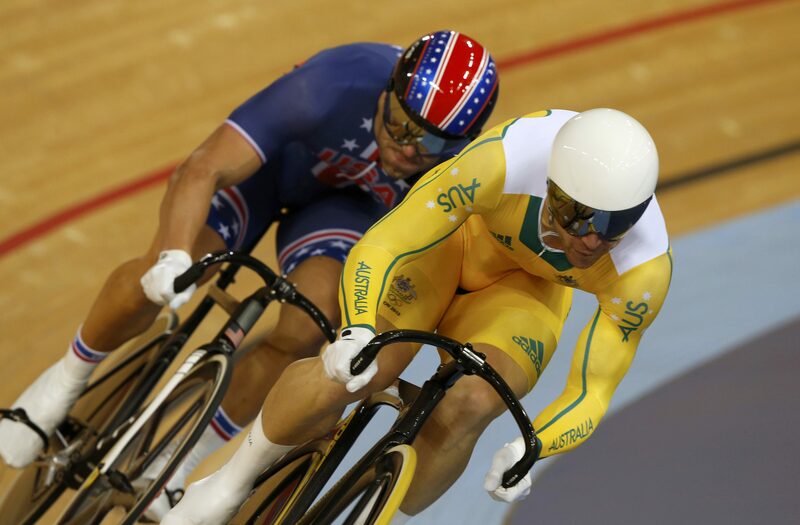 With the support of quantified self-data and analytic techniques provided by Datameer, the US Women’s Olympic cycling team went from a 5-second deficit at the World Championships to a silver medal in the 2012 London Olympics. Sky Christopherson, himself a world record holder, believes it shows that these tools can help provide critical insights for informed training decisions and gain athletes that meaningful edge. For the ‘Impossible Hour’ the impact of ‘Big Data’ could be even more pronounced, with real-time comprehensive data giving feedback on pace………….This is exactly what we see in F1 racing, indeed the Chief Executive & Co-Founder of data firm QuantumBlack, Simon Williams, proved as much as he spoke at last year’s Strata Online Conference. Williams has been designing race strategy engines for the biggest teams in motorsport for years and said the real breakthroughs for professional sport is when you combine two seemingly separate sets of data and combine them to make a useful whole. In the case F1 racing this could be GPS and TV broadcast feed to determine the engine setting of opponents. Big Data is about making a cyclist perform at the optimal level. You do that through very accurate, specific training routines, diet, supplements (top athletes go through 17,000 calories a day to promote growth & repair, a figure which you can only reach through formulated solutions of amino acids & carbohydrates), physiotherapy & massage. After all when your cyclist is pushing 2500 watts (I mean seriously that is incredible. Although yes road racing is different, I read even Marcel Kittel – arguably the best road sprinter now – pushes 1900watts if we reference Inner Ring’s article ) you need to look for new ways to get those small percent gains, which frankly seems impossible when the athlete is pushing 100% and passing out in training. That the Trek Factory Racing team will be applying in the Palma Arena Velodrome (Mallorca) as we speak. 1). Padilla et al published a ‘Scientific approach to the 1-h cycling world record’ which described the physiological and aerodynamic parameters to be prepared for a successful record attempt. They used an elite professional road cyclist (30kg, 188cm, 81kg) to preform tests to assess the maximal power output (Wmax), power output (Wobla), estimated speed (Vobla) and heart rate (HRobla) at the onset of blood lactate accumulation (OBLA). Drag coefficient and shape coefficient was also measured in a wind tunnel.